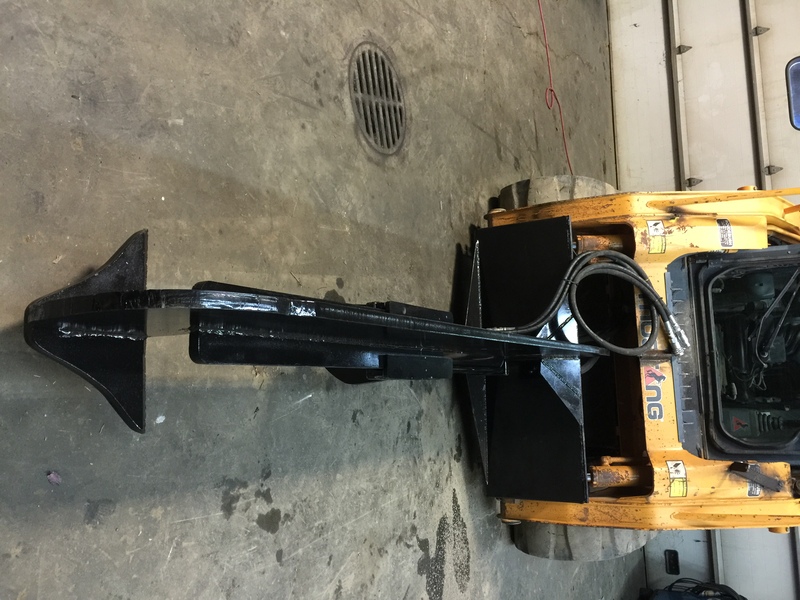 SUPER HIGH STRENGTH ULTRATHIN SKID-STEER LOG SPLITTER 800 LBS. OF PURE POWER YOU BREAK IT WE FIX IT!!!!!!!!!!!! We call this creation "THE LOG DOG" and it truly has the bite to match it's bark. 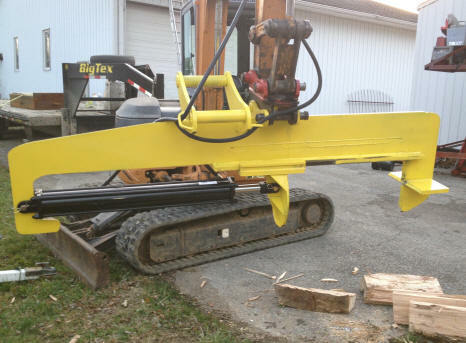 Once your logs are cut to just under 30", you never need to leave your cab and the fun begins. 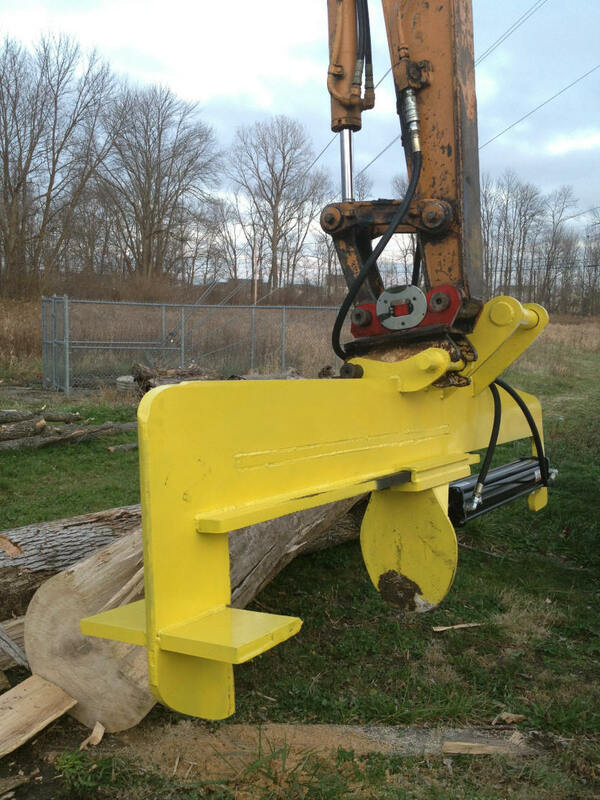 The benefit of being mounted to your excavator gives you the ability to reach out deep into a pile of logs, rotate over you truck, trailer or pile and then with speed, precision and ease, split more wood than ever before possible. The super heavy duty 1" solid steel plate construction gives you the confidence to tackle the toughest projects. 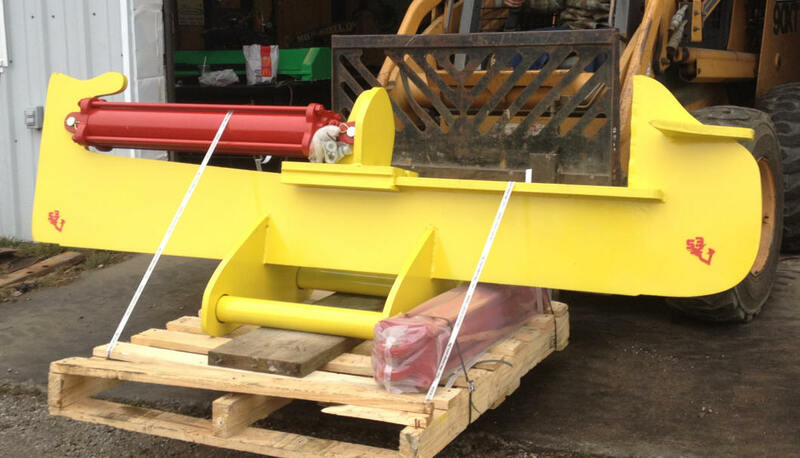 We build 2 sizes to suit your needs. We build a dog with a 4" cylinder and 37,000 lbs of force and a dog with a 5" cylinder and 58,000 lbs. of force. Watch the video below and see how a log dog eats. Once you have seen the video, we are confident you will want one for yourself. Let us build you one today. 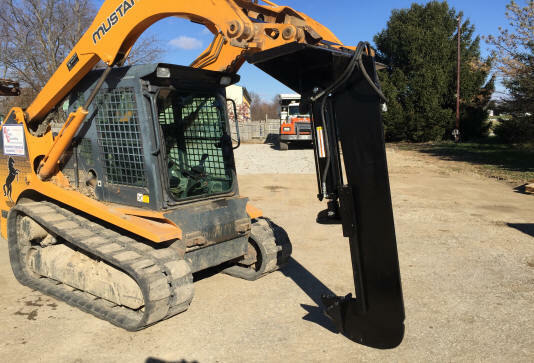 We have 3 simple ways to get started (1) go to our web site www.excavatingsolutions.com and fill out the easy to follow pin form. (2) send us an e-mail or (3) give us a call @ (317) 210-0220 . 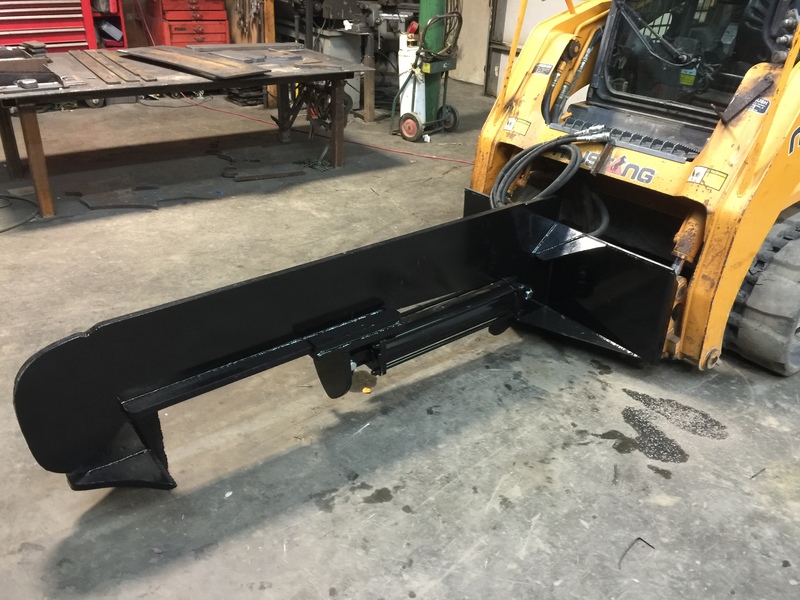 We will provide you with a timely estimate and impressive turn around time to keep your equipment out in the field operating efficiently. Please view the video below to explore the revolutionary products and designs we are providing to the excavating world.